Anyone with GM Performance Cat-Back Exhaust/Air Intake ? I got my AT4 6.2 exhaust from chevyparts for 1200 delivered and installed it myself. Whole thing took about 2 hours and I didn’t even have to lift the truck. All I needed was a sawall and 13 &15 mm wrenches or sockets. Sounds great on start up and take off but quiet once cruising. I’m curious as to what you got for you stock wheels and tires and which ones were they? I have a AT4 with 20s and wondering what I could get for them. Im currently using mine from my 09 but the 19 bed is bigger so the older covers dont fit perfect like they should. Ive been fairly happy with this cover and will likely stay with it. Has anyone personally installed the gm factory exhaust. Im going to purchase next month but considering installing myself. Wondering how difficult it is. What did you pay for your truck? Who’s happy with there new 2019? I have around 1800 miles and im getting around 13mpg city and 21 hwy. Love my 6.2 10 speed. Got mine 2 weeks ago. I just took my AT4 on a 1200 mile trip and it averaged 20mpg. Im pretty impressed for a truck with lift and 6.2. 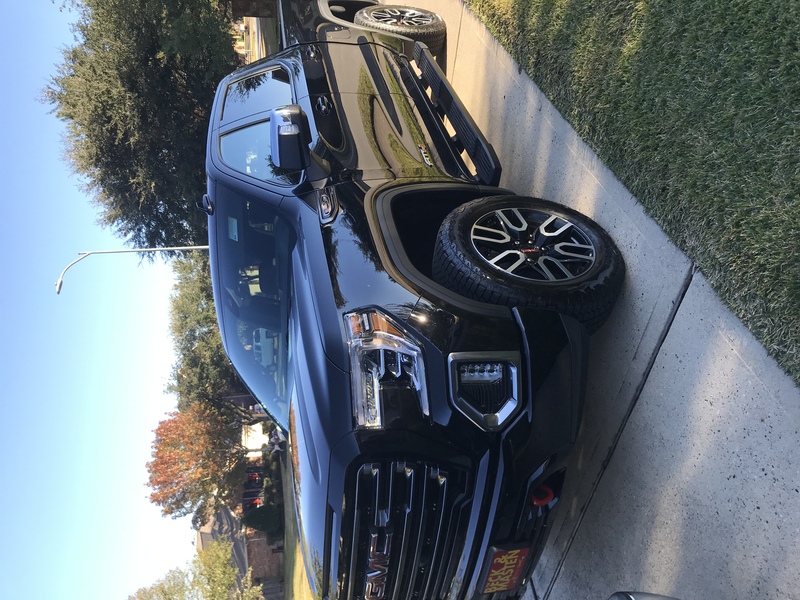 Only had truck 2 weeks and im loving it.